30.03.2014!!! 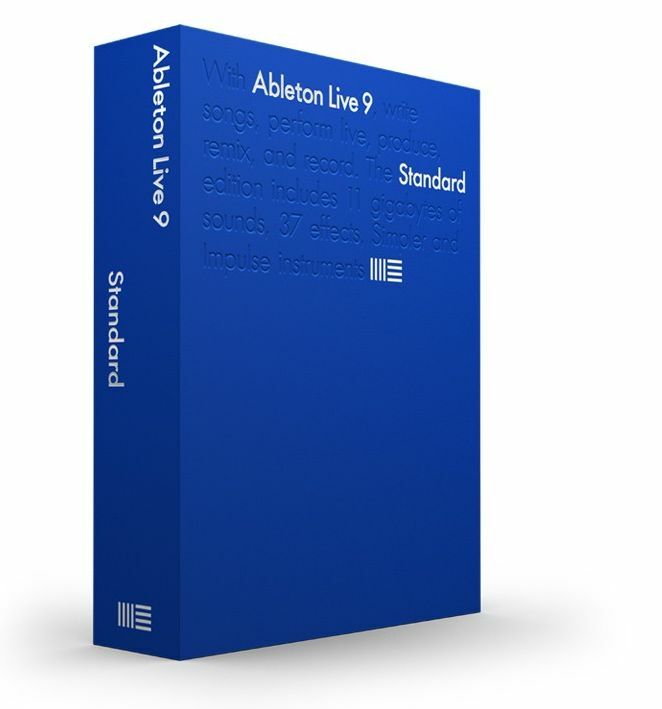 ABLETON 9 live Standard – VERLOSUNG !!! Das dicke Ende kommt zum Schluß, oder wie sagt man? Bei Marry Klein passt das jedenfalls, denn bevor wir uns in den April verabschieden gibt es – kaum zu glauben – eine Version des ABLETON 9 Standard live zu gewinnen. This is an upgrade to Live 9 Standard for Live LE/Intro users looking to get more functionality and features from Live. Ableton Live 9 bridges the gap between studio and stage with an intuitive workflow that lets you do just about everything in real time. Powerful time-stretching, arranging and sequencing capabilities let you quickly create and capture musical ideas, turn them into finished productions, and take them to the stage. Ableton Live 9 is designed to let your creativity flow with multitrack audio recording at up to 32-bit/192 kHz, a highly versatile array of instruments, effects and sounds, plus it works with instruments and controllers of all kinds. Includes 3 software instruments, 26 effects and 4 sound libraries (Packs) Ableton Live 9 Standard – professional software for creative music production and performance including a versatile array of effects, sounds, and instruments. Includes 4 software instruments, 38 effects and 14 sound libraries (Packs) Ableton Live 9 Suite – the ultimate package for creative music production and performance. Includes the full range of Ableton software instruments and effects, many additional sound libraries and Max for Live. A way to play notes and chords. Play melody and harmony in any key. Improvise and play with loops. Trigger and re-arrange your ideas at any tempo. Hands-on control with 11 touch-sensitive encoders. Live 9 comes in three editions: Intro, Standard and Suite. The editions share common features, but Standard and Suite have additional features, Instruments, Packs and Effects. What extras do I get when I buy a box?